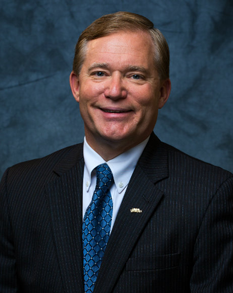 Before becoming President of Virginia Wesleyan College, he was President of Bethany College (2007-15), Wesley College (1997-2007), and Lincoln Memorial University (1991-97). A former journalist, Dr. Miller was Executive Vice President (1988-91) and Vice President for Development (1984-88) at Lincoln Memorial University and Director of College Relations and Alumni Affairs at Rio Grande College (now University) in Ohio. 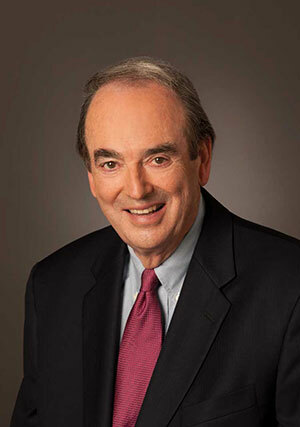 During his career, he has earned a number of professional accolades including three Council for Advancement and Support of Education (CASE) “Circle of Excellence Awards.” He was one of 17 presidents profiled in a Kauffman Foundation-funded book, “The Entrepreneurial College President” (American Council on Education/Praeger Series on Higher Education, 2004, pp. 132-133). Dr. Miller is a regular columnist for The Virginian-Pilot, The Huffington Post, College Planning and Management, and Enrollment Manager. He is the author of a widely distributed e-newsletter, The President's Letter, a daily blog, Dialogue, and a campus-wide morning message, Nota Bene. For 10 years he served as the co-executive editor of Presidential Perspectives, an online presidential thought series that has resulted in 10 books. The series transitioned to a new name, President to President and new sponsor in 2016. He co-published three volumes of President to President: Views on Technology in Higher Education. 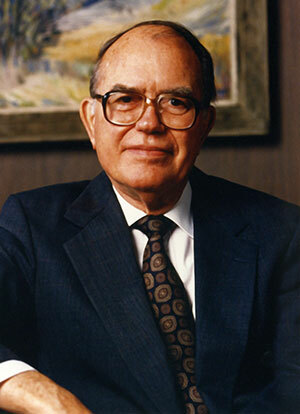 Before becoming president of Virginia Wesleyan College in 1992, William T. Greer Jr. served as president of both Brevard College and Andrew College and as a United Methodist Minister in his home state of Georgia. He was a visiting scholar at the Princeton Theological Seminary and served on the Board of Directors of the National Association of Schools and Colleges of the United Methodist Church, and the Virginia Foundation of Independent Colleges. Dr. Greer saw his mission at Virginia Wesleyan as both building on successes and expanding the College's vision and image. His 23-year tenure included facility additions and improvements such as the Jane P. Batten Student Center, growth of the College’s endowment, a new four-credit curriculum focused on experiential learning, establishment of the Birdsong Community Service Program, and athletic accomplishments such as the 2006 men’s basketball NCAA championship win. Returning to his alma-mater, Randolph-Macon College, in 1951, Dr. Clarke served as an English instructor, assistant to the president, and vice-president for development. In August 1966, one month prior to the opening of Virginia Wesleyan College, he began a 26-year tenure as president. Clarke's collegial approach, people skills and ability to instill a sense of teamwork among faculty, students and staff were mirrored in his success in building community goodwill off campus. He helped to clarify the complementary roles of the Board of Trustees and the administration. Key additions to the physical plant, a steady growth in enrollment, and many instances of external affirmation reflected institutional maturity. During the Clarke years the College was accredited by the Southern Association of Colleges and Schools in 1970, the earliest date possible; was invited to join the Virginia Foundation for Independent Colleges; and became part of the Old Dominion Athletic Conference. Clarke served a term as a member of the University Senate of the United Methodist Church and was president of the Council of Independent Colleges of Virginia. A minister in the Virginia Methodist Conference from 1935, he was president of the Virginia Council of Churches prior to arriving in Norfolk in 1959 as Methodist District Superintendent. In that year he began advocating for establishment of a church-related college in Hampton Roads and, following the chartering of Virginia Wesleyan College in 1961 he served as first chairman of the Board of Trustees through 1964. 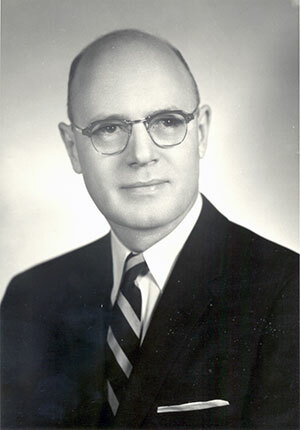 He then served as the College's first president during 1965. Johnston provided leadership, vision, and determination as he made the case for establishing a church-related, residential, liberal arts college, and led the trustees in bringing Virginia Wesleyan to reality. While his tenure as first president was limited to months and concluded before the opening, his contributions as founder enabled his successors to move forward with confidence. As board chair and then president, Johnston oversaw selection of the site for the College, the hiring of an architectural firm and approval of the master plan, fund-raising efforts, the hiring of early administrators and faculty, and the beginning of student recruitment.